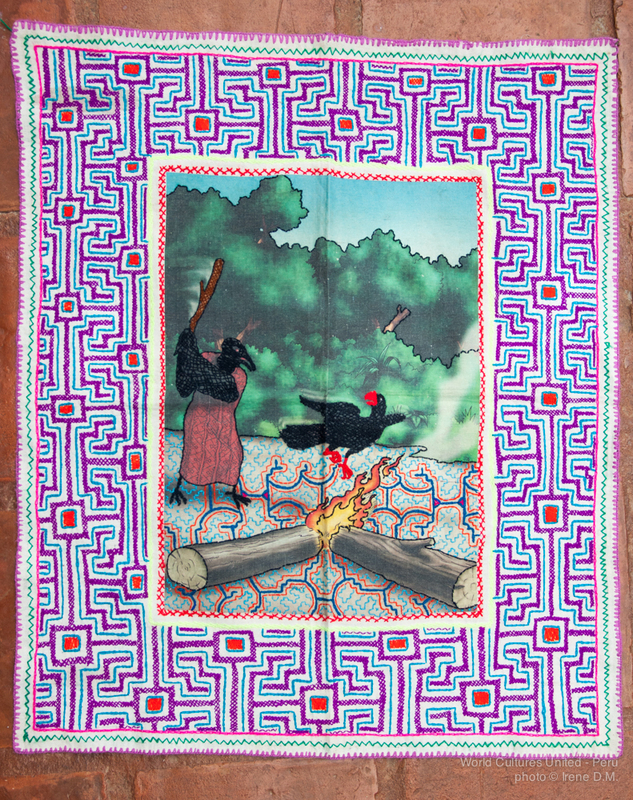 WCU presents the beautiful Shipibo Art with this artisan lady from Pucallpa, peruvian Amazon. 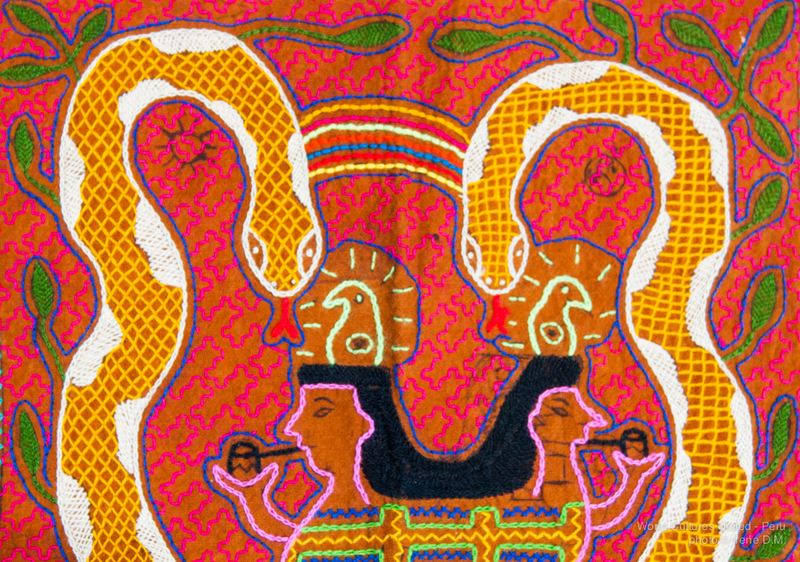 During our visit to Valley of Harín in Sacred Valley, we met a beautiful couple of Shipibo artists coming from Pucallpa, in the Amazon Rainforest. 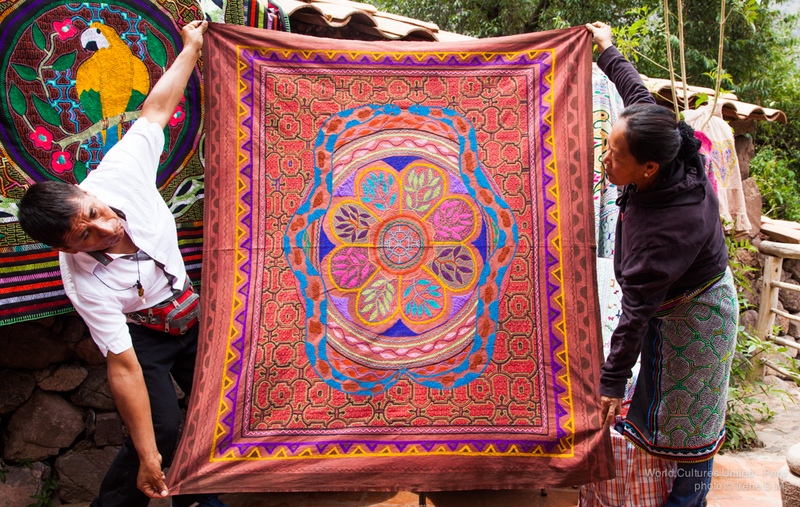 They presented a wide collection of their traditional textiles and crafts, which they sell along the way they travel. We wish to help them with the sales and import of all these exclusive and unique pieces of art and therefor we have made a pdf numbered catalogue available (coming soon). Our project collaborator David is the one on charge of receiving orders, purchases and sales. Contact him at david.permaculturaperu@gmail.com. 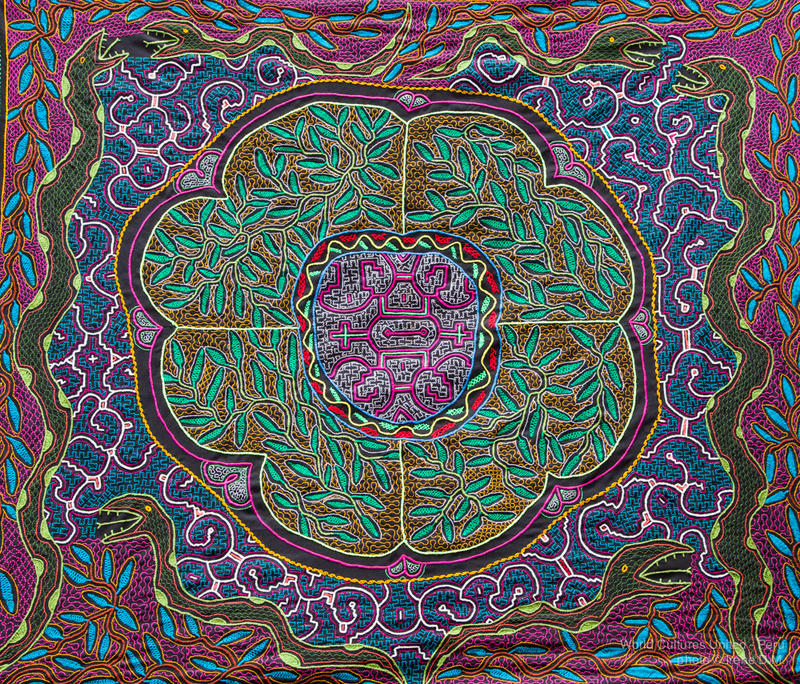 The designs are done on natural fabrics, originally of un-dyed cotton or on cotton dyed with natural pigments coming from wood, clay and minerals. For example, they use mahogany bark to taint the cotton with brown color. 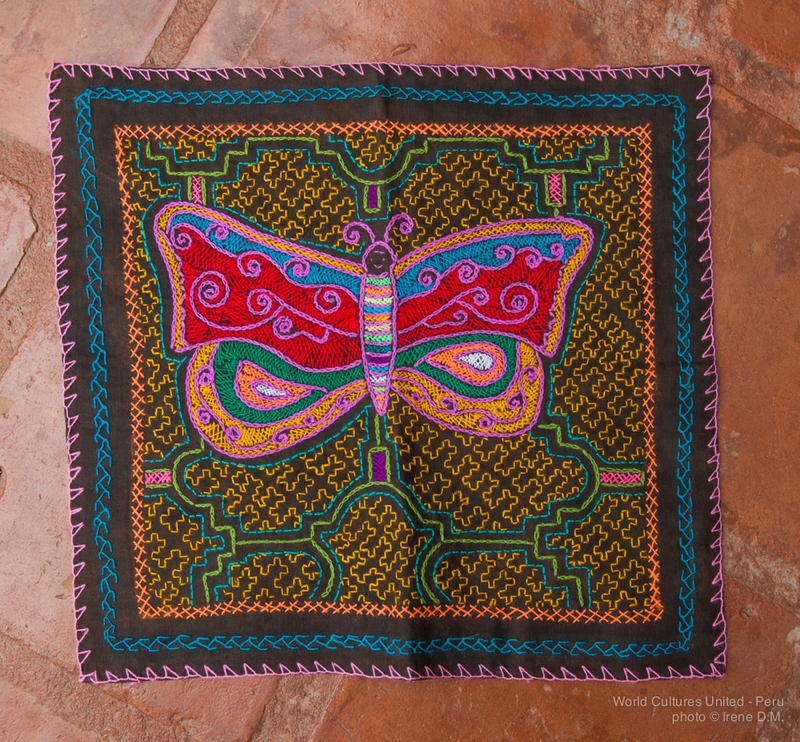 The patterns and designs are made while shamans sing their songs called Ícaros and under the influence of Ayahuasca (in traditional plant medicine ceremonies), that help these ladies to open their perception and receive the visions that we can see in these beautiful textiles and crafts. 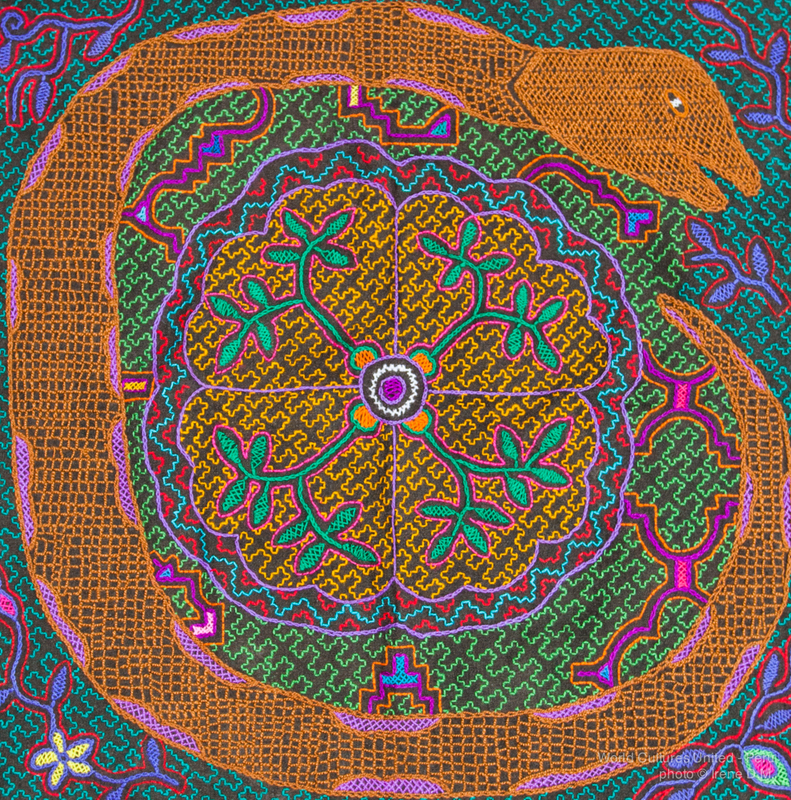 The designs start from the center and they spread like cosmic maps, serpents like Anaconda (creation of the Universe), cross (Southern Cross constellation). We wish this couple and their Shipibo community good luck with the sales and remember that supporting local products like these ones, you help women and men from indigenous communities to sustain and grow.